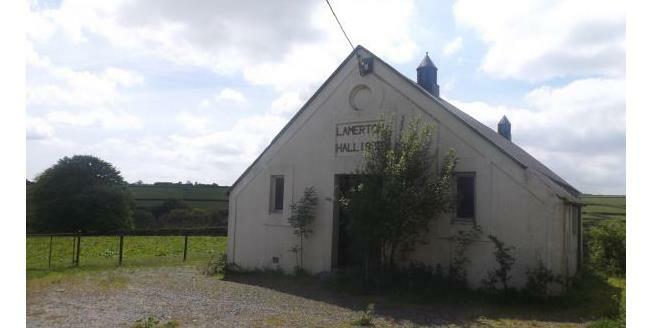 An exciting opportunity to acquire a detached former village hall in the highly sought after village of Lamerton. The property which forms a wonderful part of the village history and features a date plaque of 1933 also has the benefit of an electricity and water supply, bordered by fields on two sides with glorious rural views beyond and enjoys gated access from the road side, providing off road parking for several vehicles and a good sized plot of circa 0.08 hectares/0.19 acres. This sizeable property, currerntly of non traditional construction, would lend itself to a variety of uses including perhaps residential development, upon which interested parties must make and rely upon their own planning enquiries of West Devon Borough Council. A Detached Former Village Hall Situated In The Highly Sought After Village Of Lamerton.